Not just another day in paradise. A far-flung vignette of flora and fauna beautifully sets the tone for a trip down the isle. 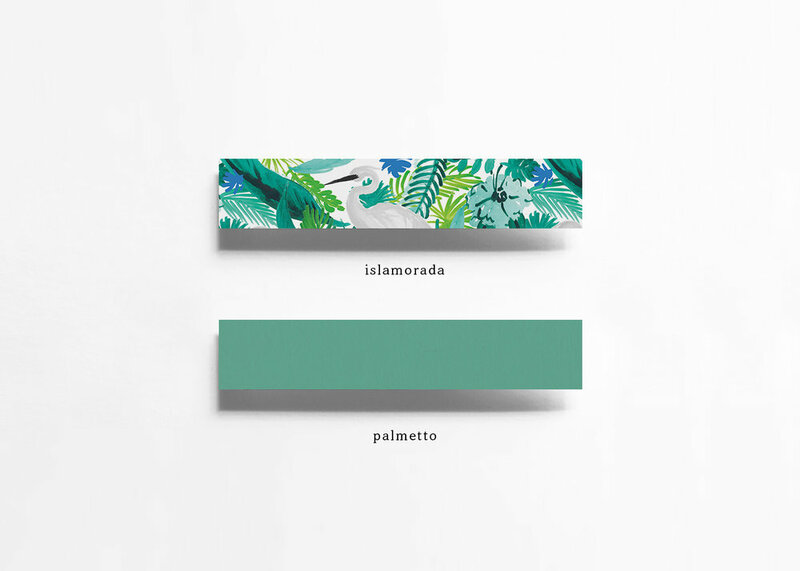 Paper bands are available in a pattern or a solid color per collection. The bands measure 12” x 1.5”. We suggest using double stick tape for closure at the back or a decorative wax or sticker on the front.